Remove the switch by first removing the gear lever console and then the heater/ICE console, to which it is secured from the back by 2 screws. (there are guides to removing the heater/ICE console elsewhere). Once the switch is out, place it on a clean surface with plenty of light. First remove the 2 light bulbs by turning them 1/4 turn anti clockwise. A blob of blue-tak on the end of a screwdriver may be needed to lift them out. 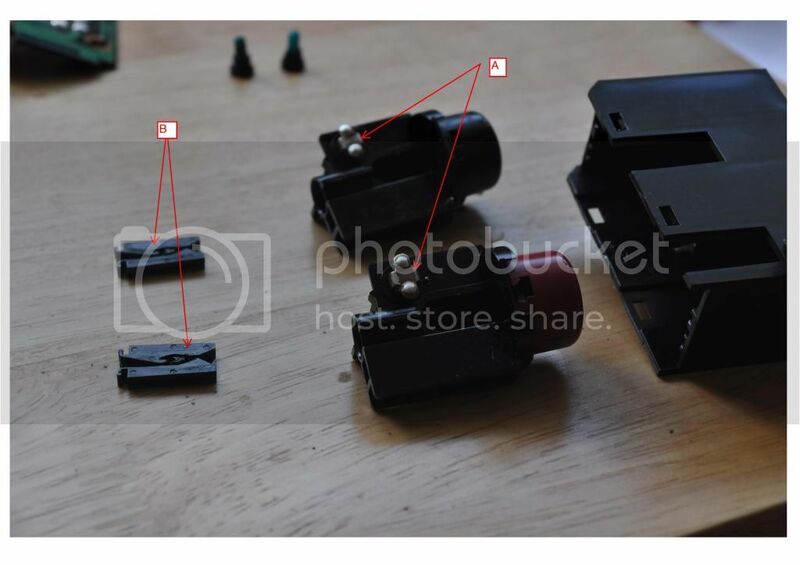 If these are not removed before dis-assembleing the switch they will drag the entire innards out with them dispersing many of the 21 parts (including 6 coil springs) over a 4 foot radius! Been there!! 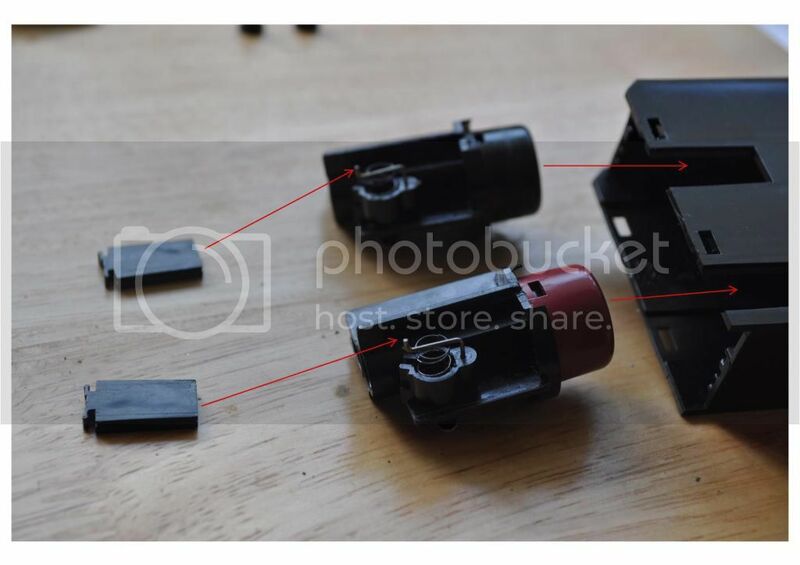 Next prise the plug/contact unit from the back of the switch by inserting a knife or small screwdriver behind the 2 retaining lugs indicated. Turn over and repeat for the other side. ONLY separate by 1mm until the next step. 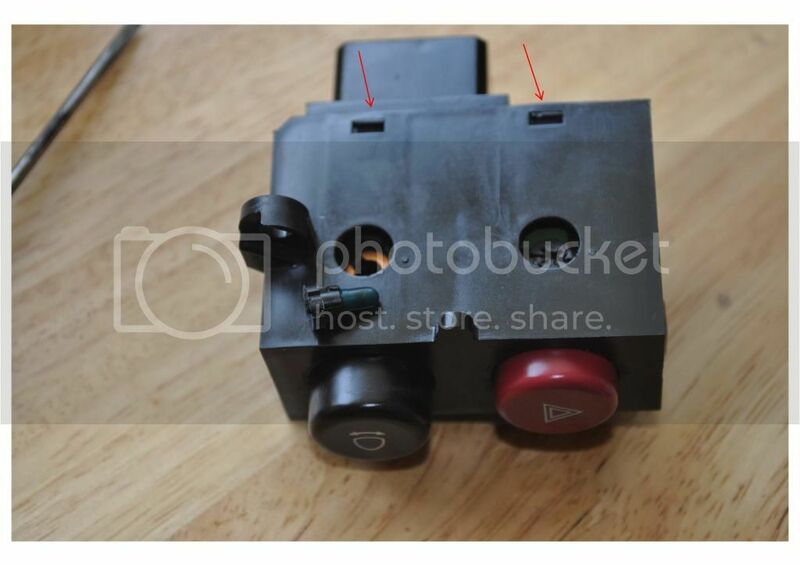 Withdraw the plug/contact unit from the button housing while holding the switch position pads in place. This stops the button units from sudden dis-assembly. The contacts are now accessible for cleaning and re-greasing with some petroleum jelly. 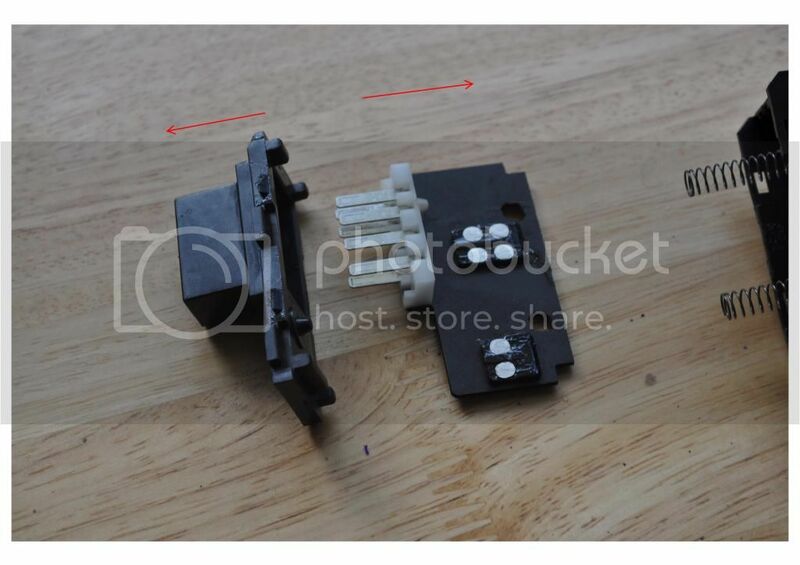 The group of 4 contacts are for the retractor switch. The contacts look well made and are unlikely to fail. Next withdraw the plug housing from the contact board. Turn the unit over to expose the circuit board. This is where mine had failed. There was a dry joint (indicated by the arrow). A dry joint is where there is an annular crack in the solder when the joint was made, either by the use of insufficient flux, or movement of the components before the solder had set. At first there is no problem because there is metal to metal contact, but over time, oxidisation takes place and this gradually reduces the electrical connection to zero. Re-solder any or all dodgy looking joints. 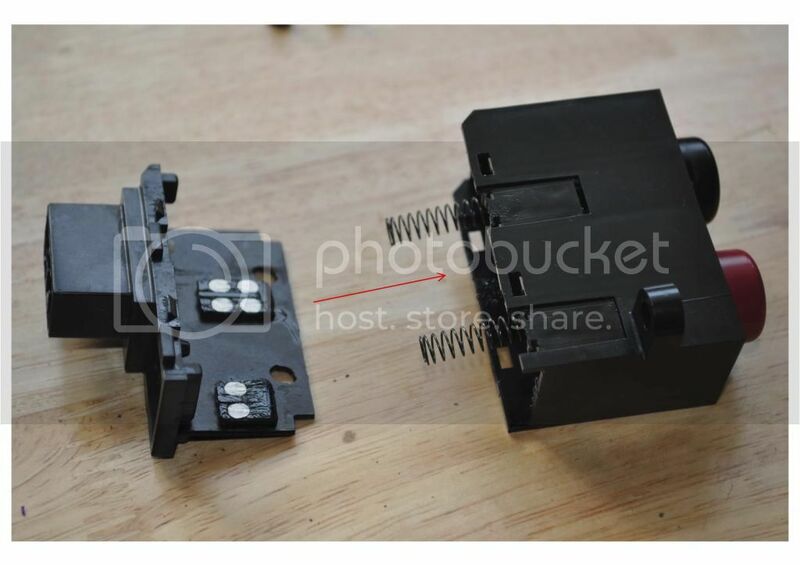 In my opinion this is the weakest part of this switch unit, and others including relays which also have circuit boards. I just fixed a flasher unit on a Daf truck with a similar fault. 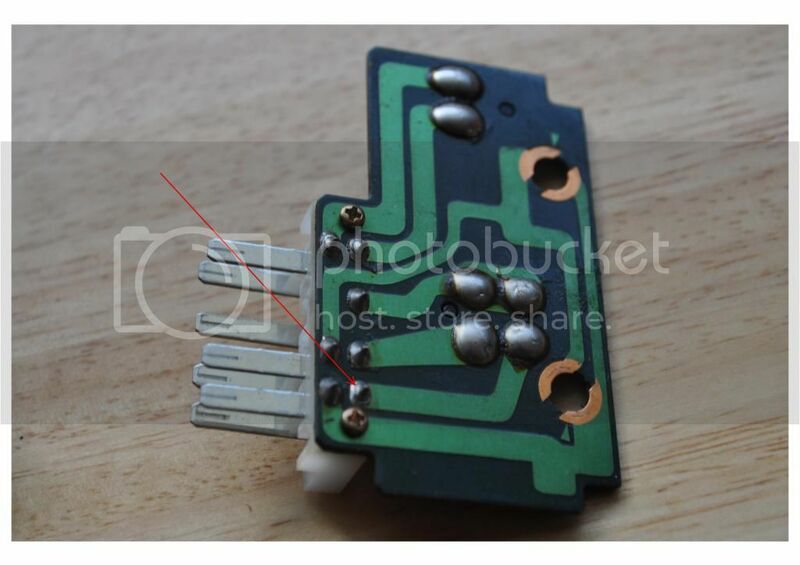 Replace the circuit board into the plug cover. ...then gently pull out the button units with the switch position pads. 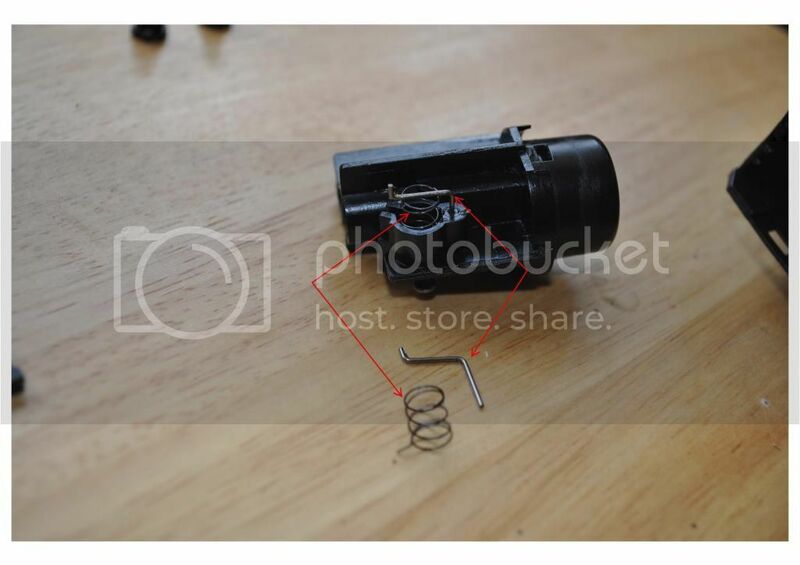 Note the location of the spring and position pin. Now turn over the button units and position pads to expose the contacts at "A" and the tracks at "B". Clean and lubricate both with petroleum jelly. 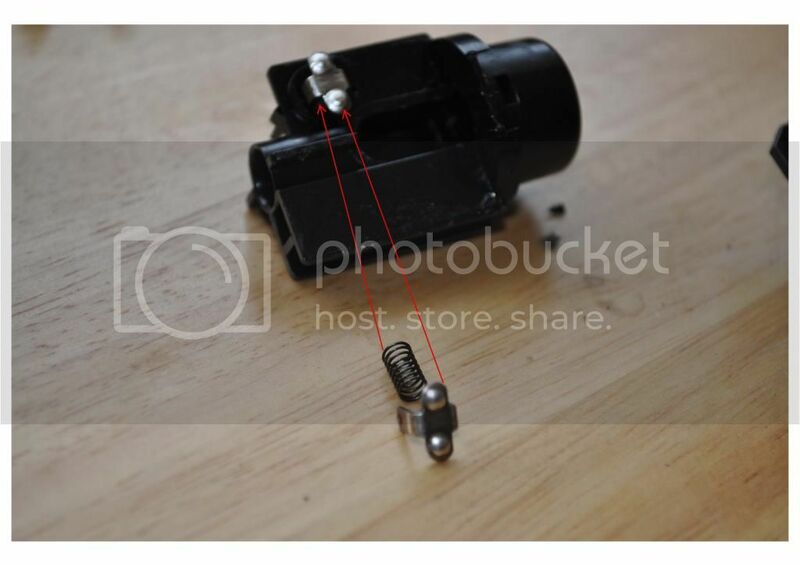 The button unit can be further dis-assembled by pulling the contacts up and out. Their spring will then come out. 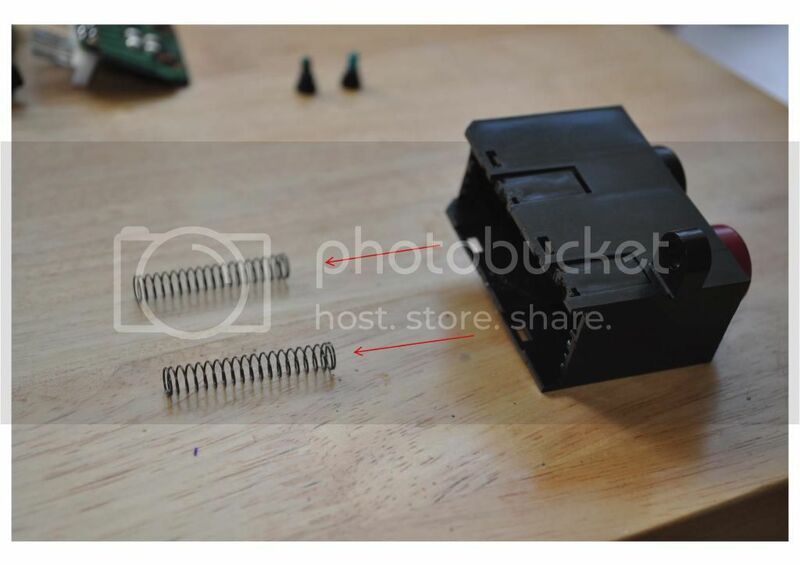 To re-assemble, place contacts and spring in button unit. Turn over button units and position pads and check all springs and pins are in place. 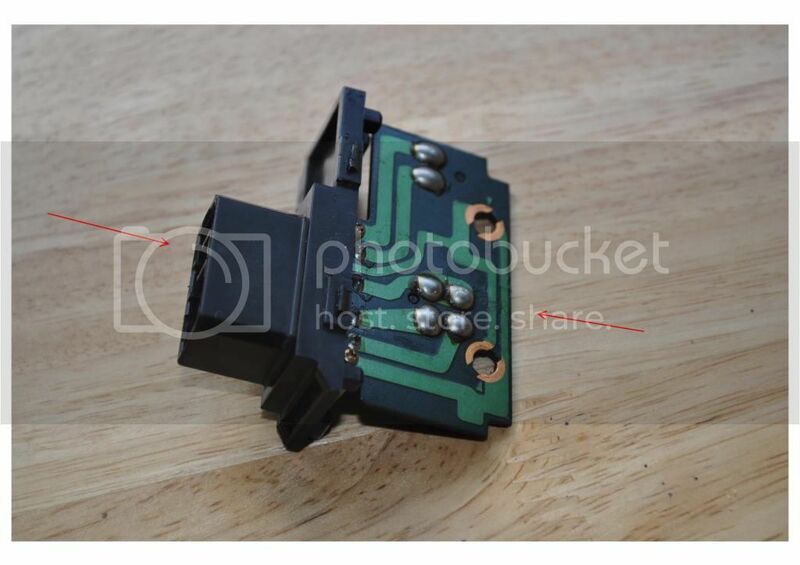 Locate position pads over pins on button unit and gently slide into button housing. This is a little fiddly but after a couple of attempts I managed it. Next locate the big springs in the button housing and gently slide the plug/contact unit into the button housing making sure that the springs sit on their locating tabs on the plug/contact unit. Snap the plug unit to the button housing and thats it! GOOD LUCK!